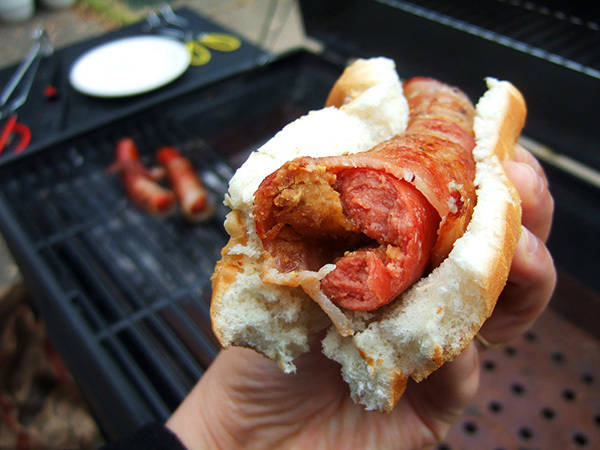 My latest Etsy article is essential a rant about the historic gender bias in grilling–with recipes! Read it here. Yes, it’s a pet peeve of mine — it’s gotten to the point where I threaten anyone who approaches the grill. But it’s not just personal paranoia. Do a search for “vintage barbecue” on Etsy and you will find men — cookbooks adorned with images of men grilling; photos, aprons, and even grilling utensils emblazoned with images of men. So what’s the deal? Why, historically, is cooking in the kitchen the realm of women, but grilling outdoors the realm of men? 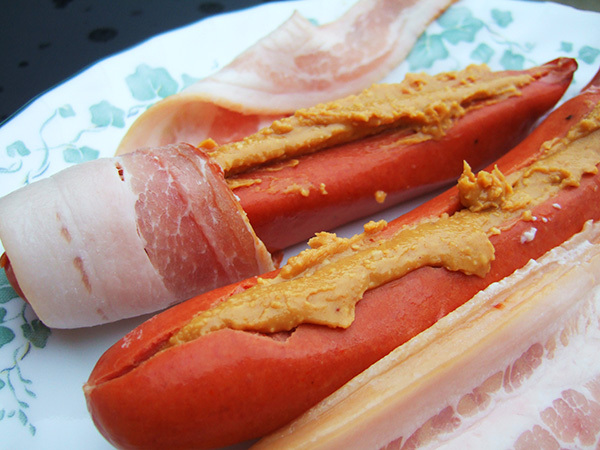 The Dixie Dog is a hot dog stuffed with peanut butter and wrapped in bacon. Events: Masters of Social Gastronomy Face the Future! Banning pasta in Italy, pre-WW2 molecular gastronomy and high-concept dinner parties: Welcome to The Futurist Cookbook! Published in 1932 by F.T. Marinetti, it aimed to transform everyday meals from stodgy, sleep-inducing traditions into multi-sensory, scientific experiences appropriate for the modern world. 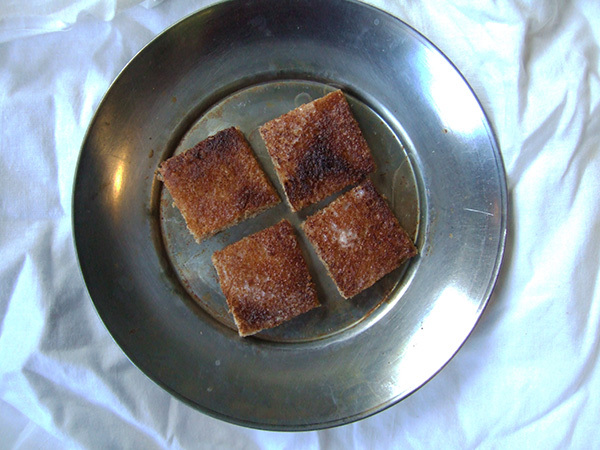 The evening will include an interactive tasting of Futurist cuisine! Join us as we abandon silverware, caress sandpaper, and craft meat skyscrapers, all in the name of recreating the cuisine of futures past. This month, we’re in the back room at Public Assembly. Doors at 7, talks a bit after, and bring an ID. MSG is always FREE, but PLEASE RSVP here so we bring enough samples! 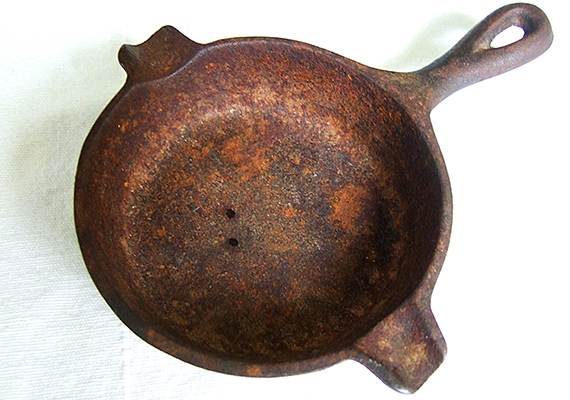 How to rehab cast iron in my latest on Etsy. Read it here! 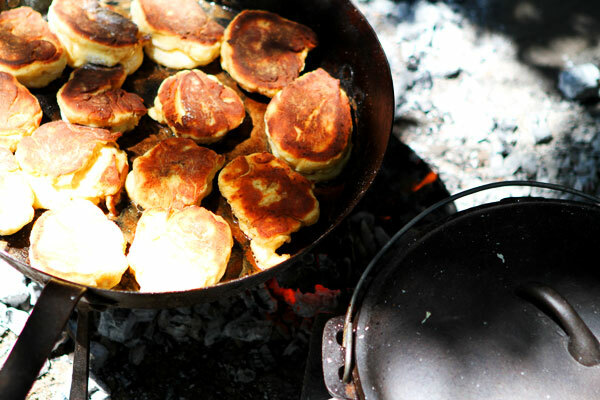 Events: Learn to Cook Over an Open Fire! In this hands-on class, you’re going to learn how to cook a meal over an open fire. But what you’ll really learn are the primal cooking skills that will make you a better cook in your daily life. The cost of the class includes a light meal you will help to make: A vegetarian soup; Rusks, a fried bread; a grilled meat (moose or venison); and dessert. Buy tickets here!